For over 20 years PVF has given support to the Zohar Dance Company in Palo Alto. 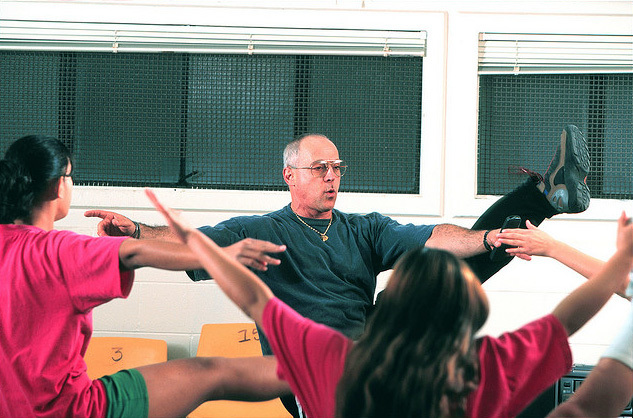 Its artistic director, Ehud Krauss, is exceptional in going beyond the usual in teaching dance. He works with youth who are autistic, developmentally disabled, and youth currently incarcerated in juvenile halls. Bill Somerville visited the San Mateo County Juvenile Hall recently, to observe Ehud Krauss in action. This time Ehud was working with Stanford professor Janet Ross who teaches “Dance in Prisons” at Stanford University. Her entire class of Stanford students was at the juvenile hall teaching kids on a 1:1 basis under Ehud’s supervision. It is an amazing experience to see juvenile hall kids come out of their shell and dance with enthusiasm. Using humor, coupled with challenging dance routines, Ehud encourages self-confidence, self-awareness and creativity. PVF has funded Ehud because he is outstanding in his ability to use dance to teach discipline and to teach youth how to connect with one another. This entry was posted in Uncategorized and tagged Palo Alto, San Mateo County, Where's Bill, youth. Bookmark the permalink.